Inspire Girls This Holiday Season! - Girls Inc.
Inspire Girls This Holiday Season! When you give a gift to Girls Inc. Indy, you make it possible for thousands of girls right here in our community to have access to the Girls Inc. Experience. Our programs empower girls to achieve academically, lead healthy lives, manage money, navigate negative media messages, discover new interests, and build self-confidence. 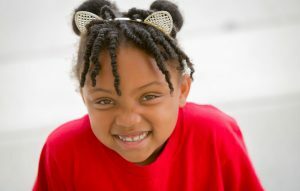 Girls like Madison, who recently shared, “Girls Inc. has molded me into a more confident person. I now have a sense of identity and know what I want to do with my life.” When you fuel her fire, she will change the world. This holiday season, you can ensure more girls like Madison have access to these life-changing programs. As a special thank you, when you make a gift in honor of someone before December 20, we will send them a Girls Inc. memento including a personalized note from a girl telling them how your gift is changing her life. Because of you, girls in greater Indianapolis are growing up healthy, educated, and independent. We cannot fulfill our mission without your support. Thank you for inspiring girls to be strong, smart, and bold! Click here to make your empowering gift today!